So you’re thinking about learning to fly. It’s no exaggeration to say you’re about to embark on an adventure that will change the way you look at the world forever. More than just speed and altitude, flying will teach you more than you ever imagined about yourself and the person you can grow to be. You’re never too old to learn, and (almost) never too young! (You can solo at 16, and be certificated at 17). Primary requirements include book work to understand weather, navigation, communication, FAA rules, aircraft systems, and basic aerodynamics. Then you repeat all those lessons in the air, with the added fun of actually flying the airplane! In fact, in your very first lesson you will take the controls and experience the joy of flying yourself. About a third of the way through your training, and with a basic aviation medical certificate in hand, you will be approved for solo flight in which you make three takeoffs and landings while your instructor watches from the ground. Afterward, you continue your studies, adding more complex exercises, night flying, and longer flights, until you eventually earn your Private Pilot Certificate. Crystal Aero Group is a Part 141 school, which means the school itself passes more rigorous testing and standards with the FAA, and can therefore certificate their students with fewer overall hours, which can save you money if you are ready in that shorter amount of flying time. 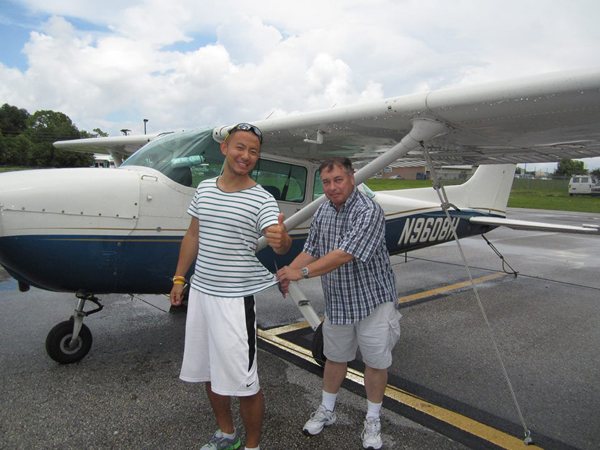 Learn more about our Advanced & Specialty Flight Training.